Causings is a group of fluid membership and instrumentation. It began as the duo project of Adam Gundersheimer and myself, and has since expanded to include, at various times, KT Pipal, Sandy Gordon, Vanessa Haddad, John Welsh, Brooke Baron, James Krivchenia, Sophia Treanor, and others. Listen to Causings' earlier release from 2015, Cut Through here. Our most recent release, Kissing (DB-percussion, AG-piano, KT Pipal-no-input mixer) is now available here. Marion / Evelyn (Jan 2014) Listen here. On February 5, 2015, The Man I Love, a new solo album, was released on the Freedom Garden tape label. Hear and buy the album here. A new solo record, Palmillas will be coming out some time in 2015. 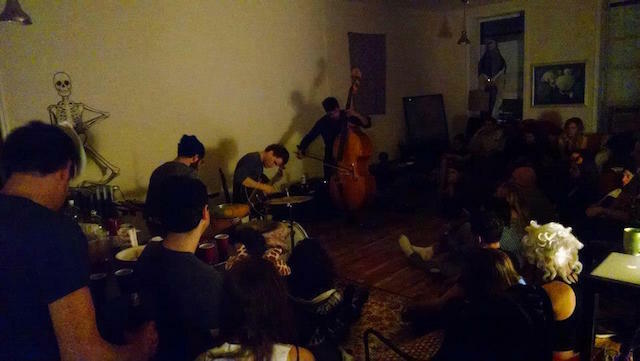 Birth Rattle is an improvising trio with Brandon Lopez (bass) and Adam Gundersheimer (piano). Birth Rattle formed in early 2014. Birth Rattle's first release is forthcoming. 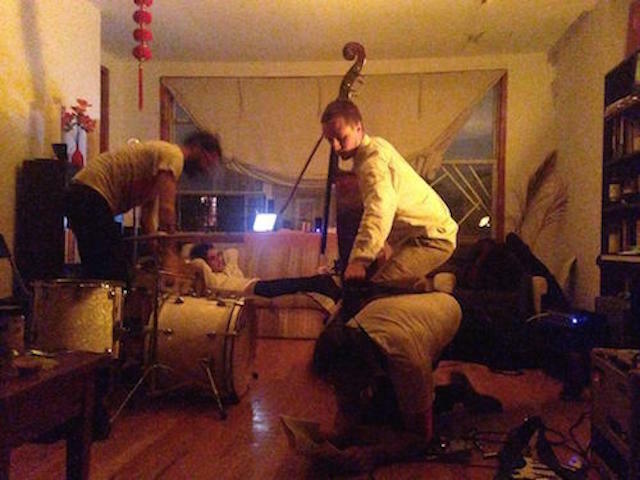 Cop Tears is an improvising trio with Cameron Kapoor (guitar) and John Andrew Wilhite (bass). 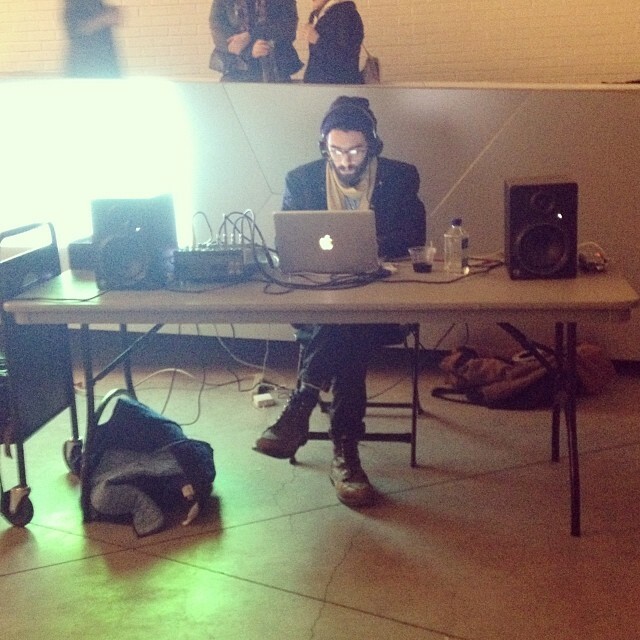 Street Moda is an exploration of real-time digital synthesis in the environment of SuperCollider. The main synthesizer used in Street Moda was built (with the guidance of Jascha Narveson) from scratch and is evolving and generative. Listen to Street Moda. Associated is an early project of solo electronic collage music. Associated's first EP, Archive Fever!, will be released here soon. See the first music video from Archive Fever! here. Tongues is a trio of myself, John Welsh (guitar) and Brandon Lopez (bass). 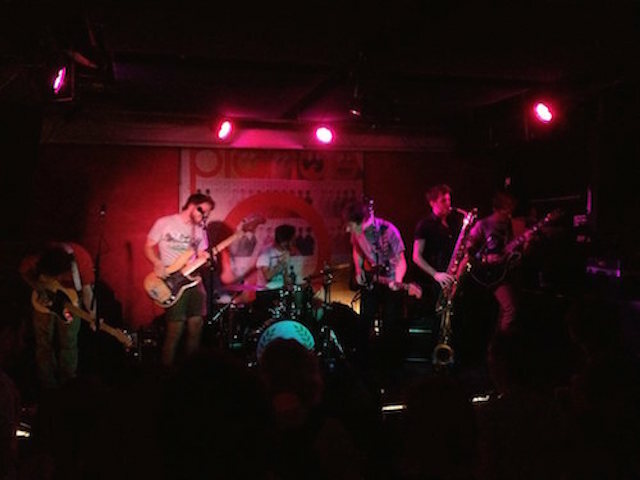 Happy You is a rock band that I play drums in. In 2014 we released an album called Giggle. Buy it here. I have scored a number of animations and video installations of Vanessa Haddad, as well as many of the works of On The Real Film. I have also composed and/or performed in works by dancers/choreographers/performers Judith Louise Iocovozzi, Claire Johannes, and Sophia Treanor.